Proud to be American owned and operated. 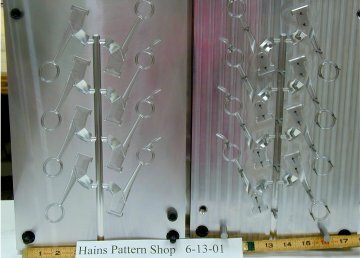 The Hains Pattern Shop metal shop specializes in creating tooling for Aircraft, Fuel Injection, Sports, Medical & Commercial use. 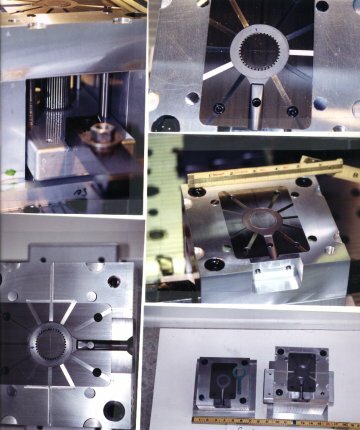 Tooling to make ceramic core. This tool has loose pieces, pulls, and irregular parting. Note chill cavity. 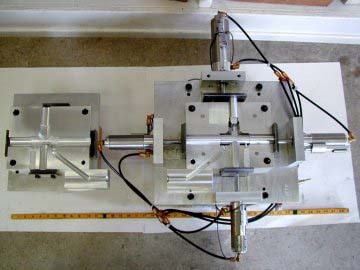 Tool has 4 - air cylinders. 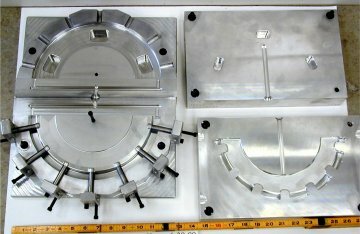 1 - Each side with wedge lock. Note port and channel location. 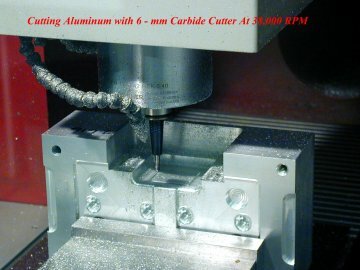 Cutting Aluminum with 6-mm Carbide Cutter at 38,000 RPM. 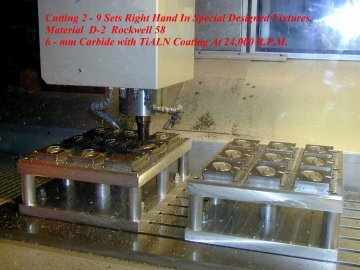 Cutting 2-9 sets right hand in special designed fixtures. Material D-2 Rockwell 58. 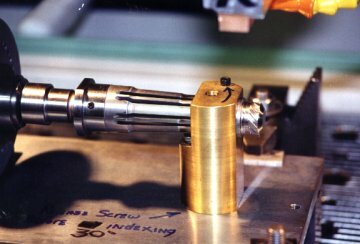 6-mm Carbide with TiALN Coating at 24,000 RPM. 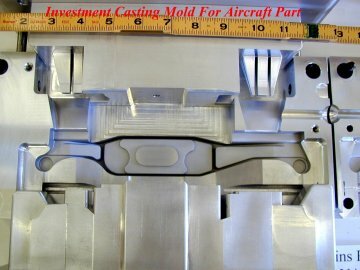 Investment casting mold for aircraft part. 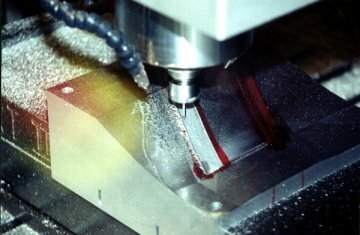 3-D Cutting at 38,000 R.P.M. 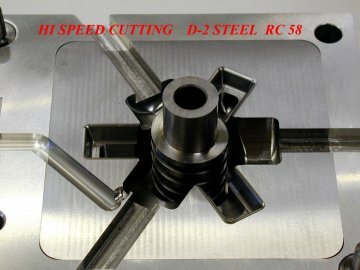 Hi Speed Cutting D-2 Steel RC 58. 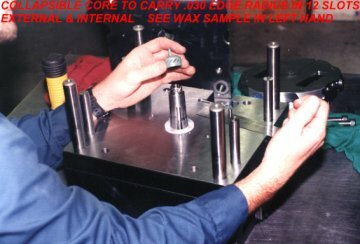 Collapsible core to carry .030 edge radius in 12 slots external & internal. See wax sample in left hand.